Eleanor L. Kinney, 80, Goshen, died Wednesday afternoon, Nov. 2, 2016 at The Maples at Waterford Crossing. 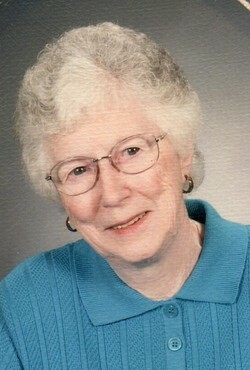 She was born Dec. 10, 1935 in Goshen to Lloyd and Nina (Fry) Weaver. On May 21, 1966 she married Richard Kinney in Goshen. He preceded her in death. Survivors include three daughters, Deb Kinney-Shoudel, Syracuse; Anita Kinney-Naylor, Goshen; and Toni Kinney-Matney, Elkhart; a son, Richard Kinney II, Syracuse; five grandchildren: Jim Dunlap, Jami Dunlap, Natasha Matney, Nick Matney and Amy Kinney-Trowbridge; 16 great grandchildren; and two brothers, Richard (Margie) Weaver and Phil (Peggy) Weaver, both of Goshen. A member of Eighth Street Mennonite Church, Eleanor worked at NIPSCO retiring as a storeroom clerk. She was active in the American Legion Ladies Auxilary and volunteered at Goshen Hospital. She also enjoyed making cards. Visitation will be from 2-4 p.m. and 6-8 p.m., Friday, Nov.1 at Yoder-Culp Funeral Home. Friends may gather at 9:30 a.m., Saturday, Nov. 12 at the funeral home to drive in procession to Rock Run Cemetery for burial prior to the 11 a.m. memorial service at Eighth Street Mennonite Church. Pastors Brenda Sawatsky Paetkau and Julia Gingrich will officiate. Memorial gifts may be directed to the church or Goshen Home Care and Hospice.